Thank you so much for inviting me to be part of MRF15. I had a wonderful weekend. The volunteers were all exceptionally lovely, the food and wine were magnificent and the events were organised beautifully. Where else can a girl chat with the likes of Ramona Koval about her next project, taste a stunning Riesling, debate the merits of Shakespeare with Bernard Keane, threaten everyone with the horrors of faecal transplants, and see a mob of kangaroos…all in one weekend? I loved my time at the Mudgee Readers' Festival; it was an amazing three days I won’t soon forget! My visit to the Mudgee Readers' Festival was an absolute pleasure, a chance to meet readers, writers and more. At the Farmers' Market on Saturday I bought some tomato seeds: yellow cocktail, red cherry and green grape. When I'm eating the fruit this summer I will think fondly of you. Thanks to the great team of MRF volunteers. And thanks for having me. Thank you for inviting me to your wonderfully relaxed and friendly festival. Jason and I had a lovely time meeting you all and chatting with the other writers. The festival is a credit to you and your highly organised team in green – while I've only been to half a dozen or so festivals in the last year, you can quickly tell which ones know what they are doing. It makes it much easier for the writers when the wheels turn smoothly. A special thanks to Mandy too for looking after me so well – from keeping me warm to shuttling me around and making me feel good about my sessions! A perfect minder! Thanks again. Happy reading. I want to thank you for your hospitality and care at Mudgee, and of course, for the hours of work you and the volunteers must have devoted to making the festival work so well. It was lovely to get off the plane, feeling like I knew no one, to have two women immediately recognise me and shake my hand. And I loved it all from then on. This is a gem of a festival. I was made to feel so welcome by the organising committee and volunteers, who make sure that the weekend is filled with a lovely mix of fun, thought-provoking events. There's no better place than Mudgee to spend time talking about books and ideas, meeting other authors you admire, and of course sampling the delicious food and wine of the region. The Mudgee Readers’ Festival combined my three favourite things – reading, great company and gallons of good wine. If you ever invite me back, I’ll be there with bells on. 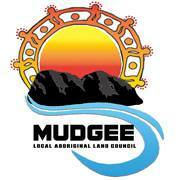 Thanks for the chance to be involved in the Mudgee Readers' Festival. Mudgee itself is such a lovely town — full of character — and the festival felt like an intimate experience: big enough to attract some really significant authors, and small enough to feel personal, with a strong sense of connection between authors and attendees. Congratulations on your achievement and thank you for the opportunity to attend. I just wanted to thank you all – the volunteers and committee members — for a marvellous weekend! You are all so friendly and helpful, and the audiences were a delight. It's one of the best festivals I've ever attended, as either author or audience member. Thank you so much for inviting me, and please pass on my thanks to everyone involved. The Mudgee Readers' Festival was a delight — warm, enthusiastic people, great panels and a lovely setting. If you get the chance, don't miss the next one. I had the most wonderful time. I raved about the festival to everyone ... I loved meeting other writers and having the time to talk to them. I loved meeting readers, the staff and volunteers. I honestly felt like I 'met' the town of Mudgee and know the place personally now. Thank you. A huge thank you for the wonderful festival! It was really a pleasure and a joy to come along to your town and spend the day with all the festival volunteers and interlocutors and fellow-writers and all the wonderful generous readers. I had so many gorgeous conversations and really cherished the chance to do some stage talking too.